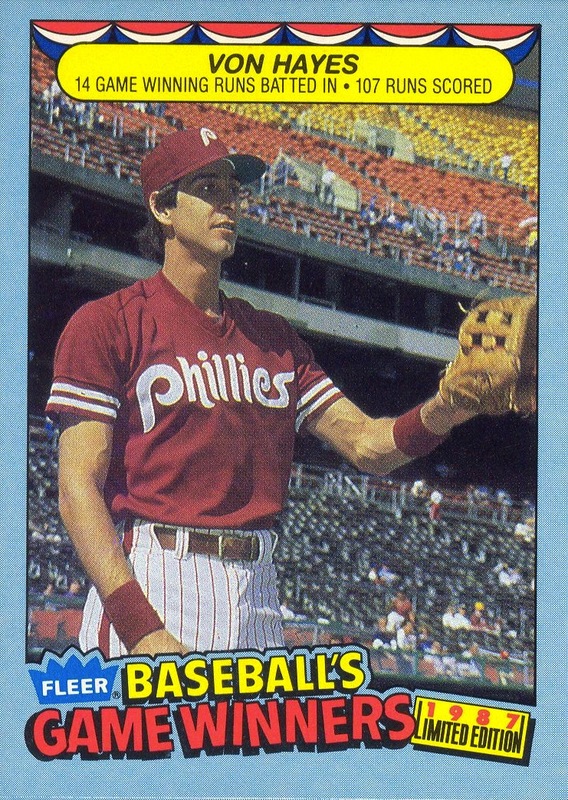 Additional Information: One of the many 44-card box sets produced by Fleer throughout the middle of the decade. Fleer distributed this set through Bi-Mart Discount Drug, Pay’n-Save, Mott’s 5 & 10, M.E. Moses, and Winn’s stores — none of whom were large enough to warrant a boxed set specifically produced just for that chain. It doesn’t look like tonight’s the night for Part 2 of the post I started yesterday. I really do need to avoid stating at the end of a multi-part post when I expect to have the next piece online. However, I really should have it up tomorrow at some point. 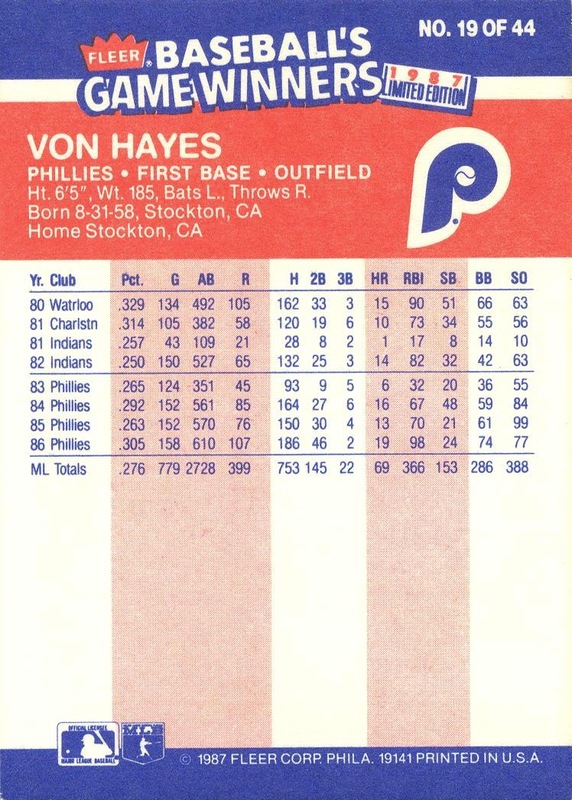 Until then, a small teaser: the set featuring the Von Hayes card shown here serves as an illustration for one of the topics the post touches upon. 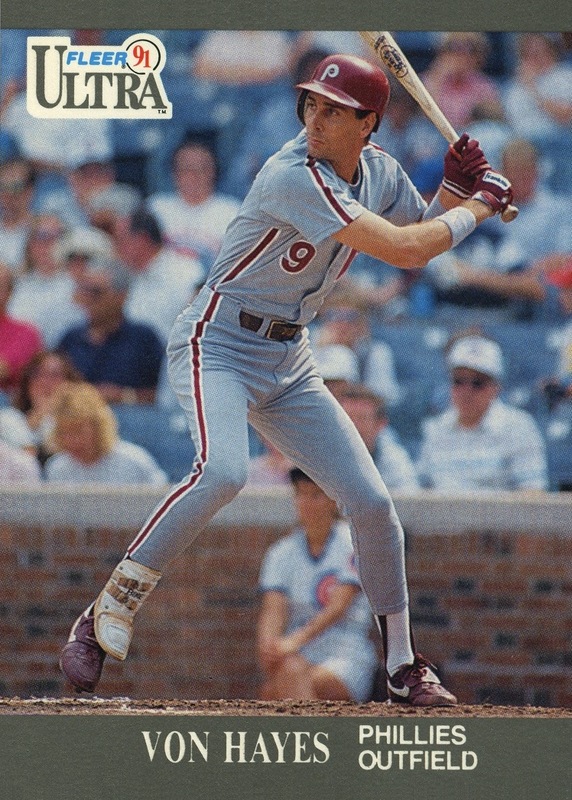 Rest assured that the topic is relevant to my notion that collecting baseball cards is a kind of archeological exercise.